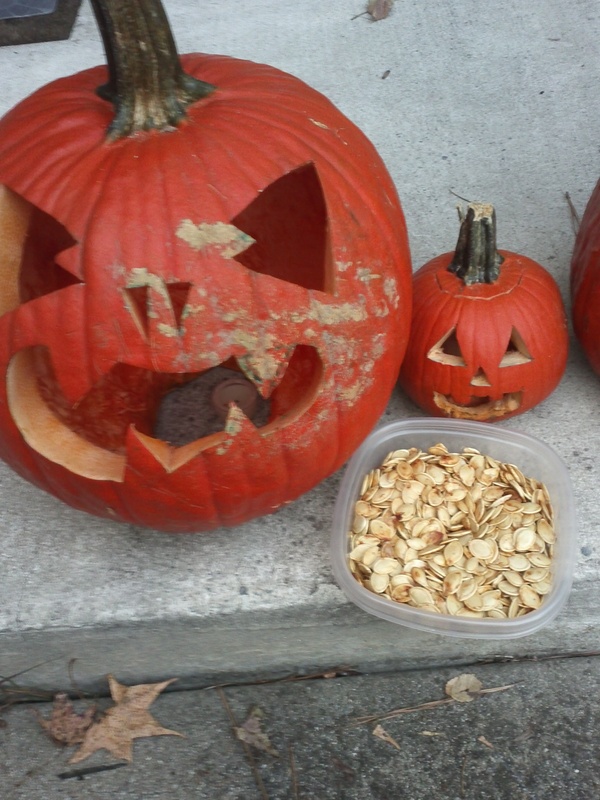 Don’t Throw Away Those Pumpkin Seeds! October 29, 2013 - Make sure you like EcoJoes on Facebook to stay updated on green ways to save money and help the environment. Just click the "like" button below. Muchas gracias! Way back in the day, EcoJoes featured a captivating tale of how to turn the pumpkin scraps from carving a jack-o’-lantern into a whole mess of food. So whilst you’re preparing for a green Halloween (or, dare I say, Hallogreen), don’t forget that you can use the pumpkin seeds and make scrumptious roasted pumpkin seeds, as well as some homemade pumpkin pie. If you’re feeling extra adventurous, go ‘head and whip up a batch of garam masala pumpkin bread. It’s sure to transport you to exotic India! Leave me a lil’ comment if you have some other jawsome ideas on how to reuse waste from Halloween. Posted in food, holidays	on Tuesday, October 29th, 2013 at 4:49 PM.